EDEM is high-performance Discrete Element Method (DEM) software for bulk material flow simulation. EDEM is used for ‘virtual testing’ of equipment that handles or processes bulk materials in a wide range of industries including manufacturing of agricultural machinery. 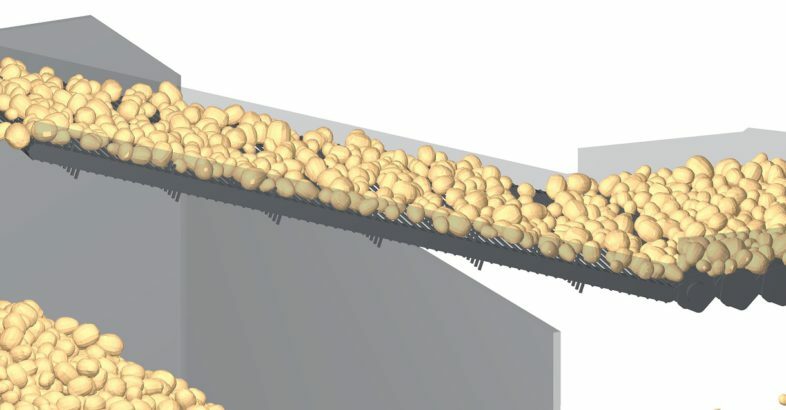 The video shows an EDEM simulation of conveying potatoes through a fragment of a potato harvester. The equipment parts simulated include picking table web, grading rollers and a floor bunker. The video demonstrates how EDEM can be used to test different equipment designs and presents examples of analysis that can be performed.